My sister picked up these fabulous shorts at H&M the other day, which come with a very Hermes-like belt. They are a classy summer piece which easily dress up a look for a night out, and will transfer seamlessly into the fall wardrobe. Paired with long sleeves and a pair of socks poking out of some cute shoes sounds simply chic for a chilly September day. She also got a cute cap sleeve blouse in the same hue which I couldn't find a picture of. It will be in a look posted here very soon though! The jeans pictured above, also from H&M, were an awesome find at only $30. 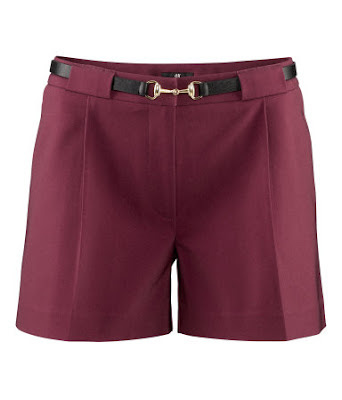 They fit great and have a pretty high waist, making them look a bit classier and a lot more comfortable. I picked up this hat on clearance at H&M a few weeks ago and can't wait to pair it with an outfit similar to the one in the picture. 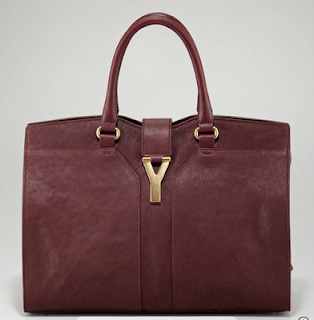 Such a statement making fall item. Aren't these bags great? Marc Jacobs and Yves Saint Laurent (...or Saint Laurent as of late?) 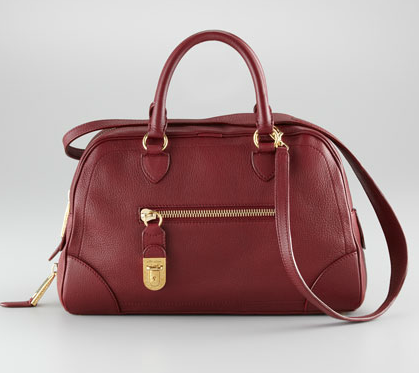 have picked up on the burgundy trend and never fail to make timeless bags with modern twists. The front zipper of the Marc Jacobs adds a cool, laid back effect and the recently resurrected "Y" icon is a simple yet striking addition to the structured bag. 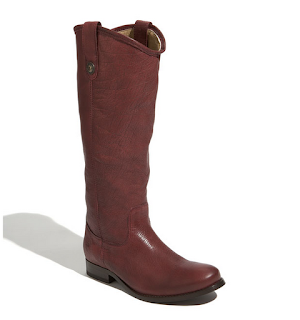 My love for Frye boots continues after spotting these beauties.... oh how I wish I could have the guts to give up around $600 for a pair of boots. One day... maybe. 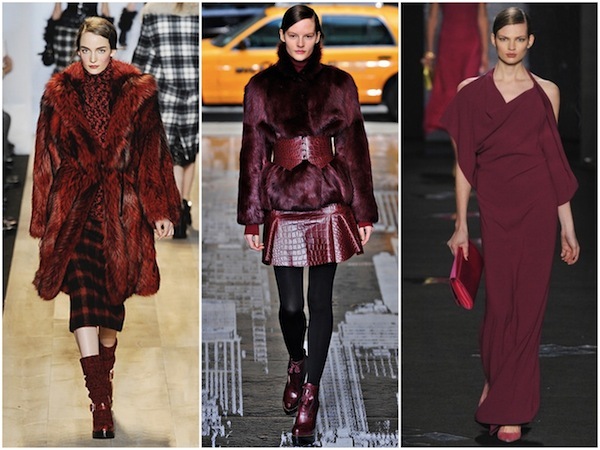 This colour is such perfect for fall!